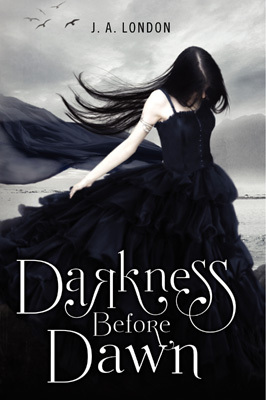 After writing my post on dystopian vampire novels and discovering the young adult book Darkness Before Dawn by J.A. London, I just had to give it a read. It combines two of my loves – vampires and a post-apocalyptic world. I couldn’t resist… sadly, my excitement was for naught. “ The war is over. The humans lost. And in the shattered world that arises, the vampires are king. They rule over the remaining walled cities with an iron fist, none more terrifying than Lord Valentine. His concern is with blood and blood alone, and seeing that it is ‘donated’ on time. First thoughts on this book are – YAY dystopia! I seriously love me some earth-shattering dystopian chaos and I am in love with the dystopian landscape the author created in Darkness Before Dawn. The world’s remaining humans living in desolate, walled cities to protect themselves from the ravenous vampires that now rule. I loved it and would have liked to explore it more in depth. Sadly, my wish for more post-apocalyptic exploration wasn’t granted. It was definitely disappointing. And that’s not where the let downs ended. One problem was with the romance. I usually have no issues with romance in a book, but I could have done without it in this one. It felt forced, unrealistic and out of place in the storyline. The way it was written in seems like the author simply added the romance last minute to attract more teenage readers. It was surprisingly ridiculous, and I didn’t feel the connection between any of the characters at all. Relationships in this novel were poorly executed to say the least. Out of the many issues in Darkness Before Dawn, the biggest would have to be the length and the lack of storytelling. The book was painfully short, only taking me a few hours to finish, and nothing of significance took place until the very end. Seriously, nothing big happened until the very last chapter. I finished the chapter expecting another, but no, out of nowhere the book just awkwardly ends. There was no finish to the book, it just stops. That’s sloppy storytelling, and considering how short the book was, the story could have gone on. Frustrating. It wasn’t all bad though, what little of the story there was, was enjoyable. Parts of it were super predictable, but there were a few things that took me by surprise. But those few moments didn’t make everything ok. Overall, I am SO disappointed by Darkness Before Dawn. It had the potential to be amazing, but the author just didn’t pull it off. I wish I could take this whole book and give it to another author to re-write. So much wasted awesomeness.